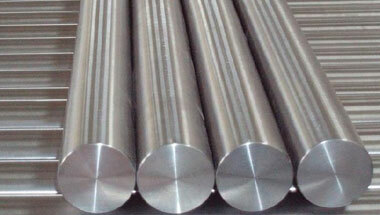 High Nickel Alloy 200 Round Bars & Rods Manufacturer, Nickel Alloy 200 Round Rods Supplier & Exporter in India. Manufacturer & Exporter of High Nickel Alloy 200 Round Bars & Rods, Nickel Alloy UNS N02200 Hex Bars, Nickel 200 Square Bars & Nickel Alloy 200 Round Rods Supplier in India. As per the variegated needs and necessities of our customers, we manufacture & export a world class collection of Nickel Alloy 200 Round Bars in form of Round, Square, Hex (A/F), Bush, Rectangle, Flat, and Wire Mesh. Nickel 200 & 201 can be hot formed to almost any shape Round Bar. The temperature range 1200°F to 2250°F is recommended and should be carefully abided as the proper temperature is the most important factor in achieving hot malleability. Full information of the forming process should be sought and understood before proceeding. Being one of the major provider, we are delivering engineered developed High Nickel Alloy Round Bars, which are broadly utilized by our buyers and demanded across the world for its highly long lasting and effective performances. These bars are crevice corrosion, stress corrosion cracking, and resistive to adverse conditions. We ensure the best quality products to our esteemed buyers with advanced features and durability. Our offered range of bars is manufactured making use of quality nickel alloys and these alloy 200 round bars are widely appreciated and used in various industrial applications industries ranging from basic industries such as Sugar, Paper, Textile, Dairy, Engineering to more complex such as Oil & Gas, Petrochemical, Chemical & Fertilizers, Power Generation and Nuclear Industries for their longer service life and effective performance. These products are manufactured under the able guidance of our qualified professionals, in accordance with the industry set quality parameters. Furthermore, we make sure that the consignments are timely delivered at clients' destination through our wide distribution network. Nickel Alloy 200 Rods, Nickel Werkstoff Nr. 2.4066 Round Bars, Nickel 200 Round Rods, Nickel Alloy 200 Hexagonal Bars, Alloy 200 Bright Bars Supplier & Nickel 200 Bars Exporter in India. Morocco, Argentina, Sri Lanka, Jordan, Azerbaijan, Germany, Vietnam, Chine, Mexico, Mozambique, Houston, Malaysia, Iraq, Italy, Australia, UK, Russia, Kazakhstan, Trinidad and Tobago, Saudi Arabia, Ethiopa, Sudan, Bahrain, London, Uganda, Africa, Tunisia, Angola, Indonesia, Venezuela, Israel, Dubai, Nigeria, Iran, United States, South Africa, Algeria, Thailand (Bangkok), Kuwait, Canada, Ghana, Colombia, New Zealand, Brazil, Democratic Republic of the Congo, Peru, Egypt, UAE, Turkey, Cameroon. Byblos, Data from the UN, Ibadan, Bamako, New York, Riyadh, Ouagadougou, Jerusalem, Port Elizabeth, Abu Dhabi, Addis Ababa, Dammam, Cairo, Manama, Cape Town, Antananarivo, Mbuji-Mayi, Fez, Jeddah, Yaoundé, Tel Aviv, Kaduna, Freetown, Aqaba, Amman, Douala, Beirut, Johannesburg, Benin, Bethlehem, Soweto, Accra, Pretoria, Alexandria, Algiers, Lusaka, Lubumbashi, Rabat, Hong Kong, Omdurman, Dakar, Luanda, Dar es Salaam, Doha, Abidjan, Dubai, Kampala, Khartoum, Zaria, Kano, Bulawayo, Muscat, Cairo, Singapore, Subra al-Haymah, Lagos, Conakry, Maiduguri, Tehran, Istanbul, Brazzaville, Kolwezi, Giza, Kinshasa, Nairobi, Sharm el-Sheikh, Mecca, Colombo, Tripoli, Port Harcourt, Durban, Casablanca, Harare, Maputo, Mogadishu.